Lots of practice and encouragement later I pulled it off the UFO stack and went for it. I stitched in the ditch around the curved pieces and then did pebble quilting around them to really make them stand out. Then I asked myself "What would Angela do?" Quilt the crap out of it, of course:-) So I pulled out my trusty copy of Free-Motion Quilting with Angela Walters and went for it. In the white border I just did some loopy Ls. It was hard to keep them even, especially since the white border is wider on two sides than the others to get the top square (the pods are longer than they are wide...). For the outer border I went with all-over leaves. I really like this pattern and would definitely use it again! You can really see the quilting from the back! Rather than making yet another wall hanging I decided this would be a perfect companion pillow for my Nicey Jane gingham quilt. Aren't they sweet together!!! Finished pillow cover is 21" x 21". 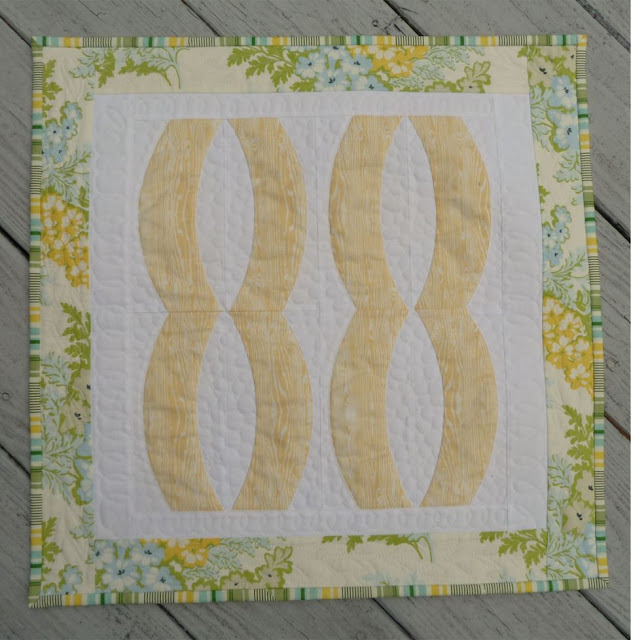 Your FMQ looks awesome! You're a pro now :-). Your pebbles look so perfect and love the leaves around the border too. Love it! 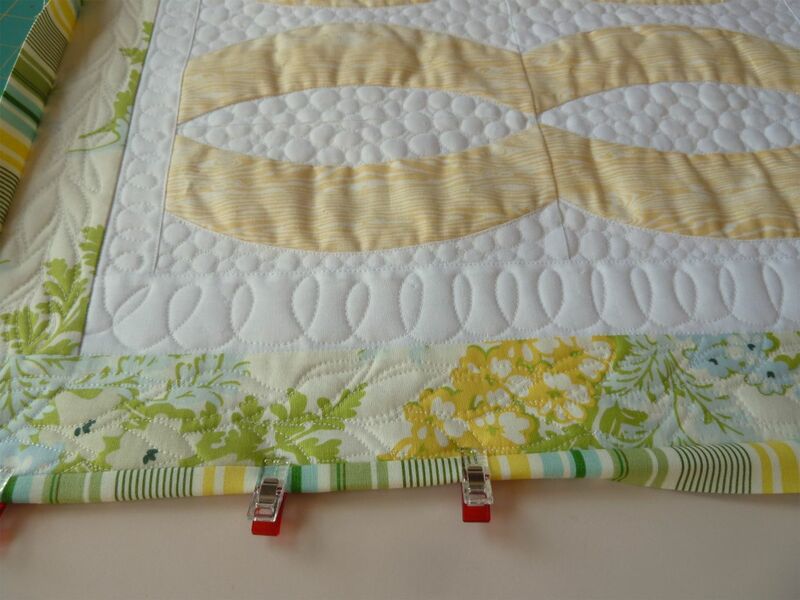 Great choice of quilting motifs. 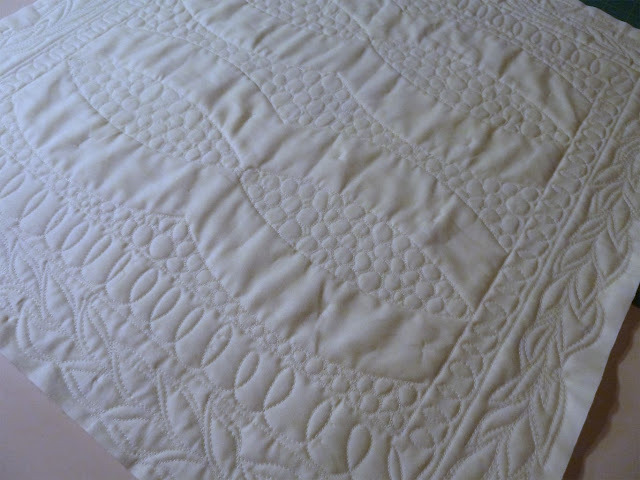 DUDE, the quilting looks so great! Well done! perfect companion pillow. great mix of FMQ how fun! Well done on the quilting! Love the fabric too. Awesome contribution to the challenge! Totally worth finishing. Oh..it's a pillow cover! Perfect! 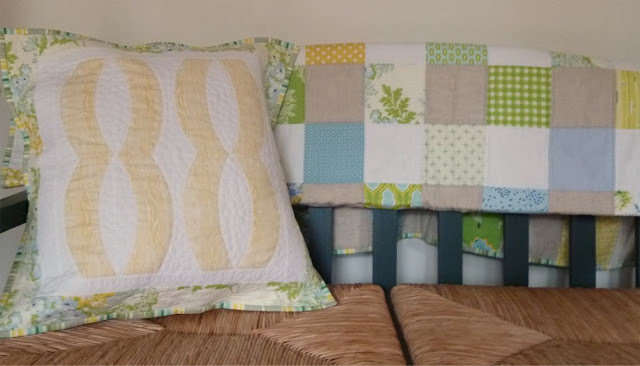 Looks great with the quilt and yes, you did an awesome job on the quilting! So awesome! The quilting looks amazing!